Forestry has enjoyed a renaissance in recent years based on the acquisition of renewable raw materials. 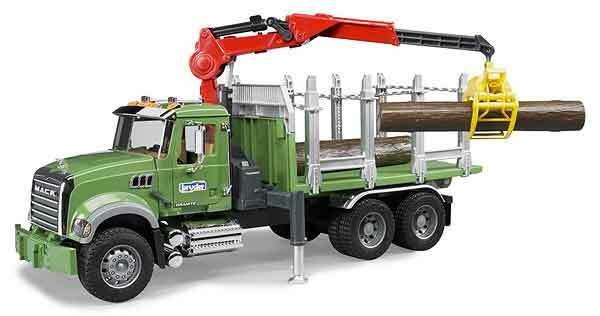 The new MACK Timber Transport Truck with Loading Crane is the latest addition to the numerous BRUDER forestry vehicles. The MACK truck, like the original, has a loading crane mounted behind the driver's cab. 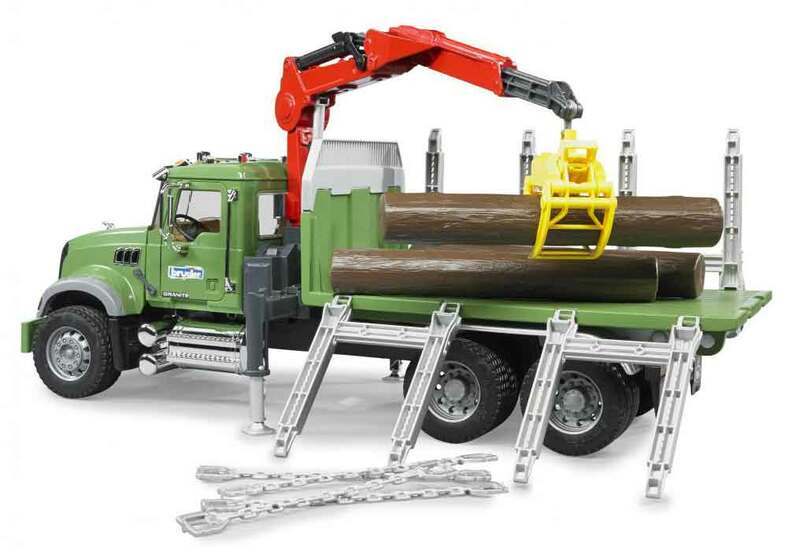 The loading crane is equipped with a log grabber to move the logs. The log grabber can be locked in the open position. 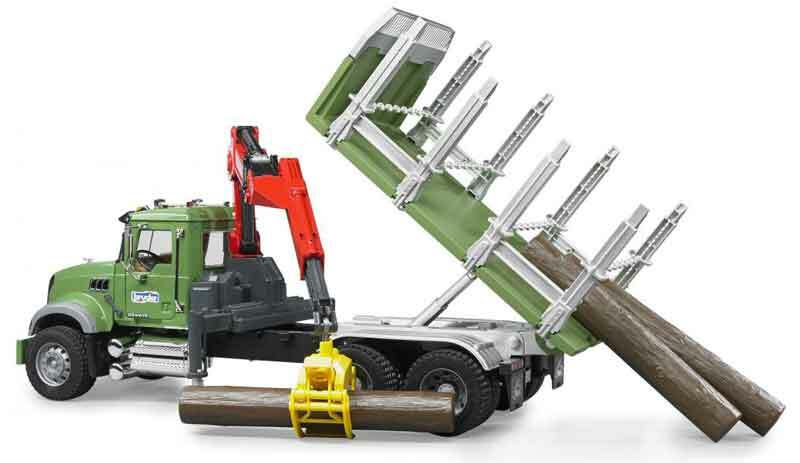 When it is time to pick up a log, the log grabber is lowered to the log and automatically closes around it when contact is made the middle. An example of the functionality of this lorry. Additional highlights are the extending and lowering crane supports as well as the chains on the stakes of the loading platform for load securing. Of course, the stakes can also be folded down to load the timber from the side. The lorry can be unloaded by tipping the loading platform to the rear.